This STUDENT COLOR WHEEL clearly illustrates and teaches color relationships. 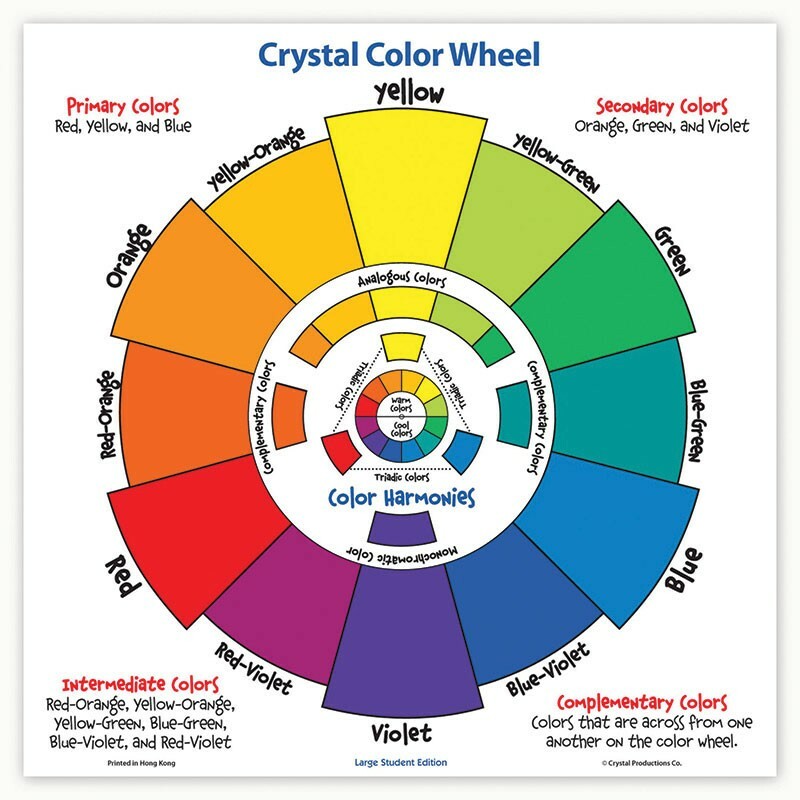 It has a rotating inner wheel so that students can easily identify primary, secondary, and tertiary colors as well as recognizing analogous, complementary, and triadic color schemes. When students are selecting colors for specific projects, this student color wheel gives them easy access to selections of colors to apply to their compositions. Printed on heavy cardstock and laminated. 17 x 17 inches.